​Dr. LaTatia Stroud, known by her legal Choctaw name as Rain Angeni, is a musician, multi-genre creative director, mixed media artist, music producer and human rights activist. Rain Angeni, has earned a Bachelor of Behavioral Science, Master of Human Services Administration, Master of Special Education Supervisory and Teaching, Highly Certified Endorsements in Life Science, Social Science, Mathematics, English-Literature, and Humanities and a Doctorate in Curriculum Design & Educational Leadership. She has also developed award - winning programs for accreditation and received the "Educator of the Year" award from the Chicago Chamber of Commerce. Students under Rain's guidance have shown over 4 years growth within one school year. ​In 2010, Rain Angeni founded International Online High School, which focuses instruction on social justice and advocacy, while providing a rigorous college prep curriculum. Since its opening, over 4,900 students have successfully completed classes and have gone on to excel in colleges and universities abroad. She is also a strong advocate for homeless rights and support. Rain is a natural born creator who fine-tuned her talents in performing & visual arts at Columbia College of Chicago. She performed in local productions and venues and went on to write and direct several stage plays and musicals focusing on the African American experience. In 2015 Rain recorded with her band, "Contra-Band of War" a socially-conscious hip-hop soul single entitled "Liberation" - now available worldwide. With over 35 years experience in visual & performing arts, Rain continues to create mixed media art, music, and is in pre-productions for a television series. Loren D is a sound engineer, producer, singer, writer, educator, and mixed-media artist that hails from Chicago, Illinois. Loren D earned her Bachelor of Science in Music Recording Technology and Voice from Hampton University in 2009. Since then, she has continued to excel in many genres as a lead and background vocalist. She’s toured Europe as a classical ensemble member, and has received awards from the Illinois Music Association, NAACP, and other esteemed organizations in the fields of classical voice, contemporary voice, poetry, and painting. 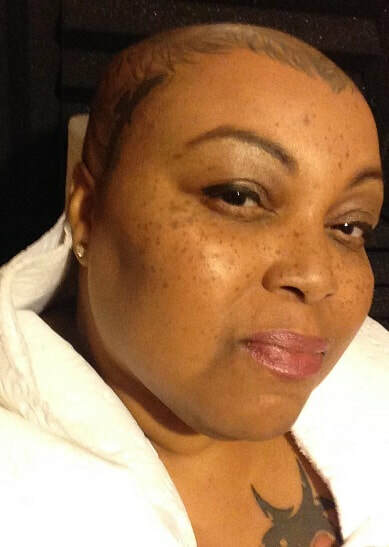 With 13 years of engineering experience, she was also the head engineer for On Point Studios and Soul Strong Entertainment in Chicago, recording and mixing records for hip hop and R&B acts, including Chance the Rapper and Hypno Carlito. ​In the time spent outside of the studio, Loren D devoted her life to education. She helped bring students into local music programs, helped aspiring young writers produce their own magazine, aided children with disabilities for Chicago Public Schools, and even coached children in the Special Olympics. In 2012, Loren D left Chicago to pursue her own musical dreams, and to help build a budding record label in St. Louis. 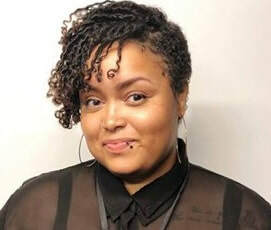 While doing both, Loren D created an Ableton and Moog sponsored curriculum to provide free music technology education to teenage girls of color. She also controlled the live sound for hundreds of touring and local bands, and became an instructor at rapper Nelly's music technology and business college, ex'treme Institute. Loren D relocated to St. Helena Island, SC in November of 2017. The coastal setting birthed her 5-song EP, “Feel It Again,” which was released in July of 2018. Loren D is currently recording her next EP, and creating exclusive art for Rain Angeni’s Creative Arts Studio and Shop. She now resides in Las Vegas where she continues in her musical ventures. Chenoa Marie (she-noah), is an Advertising Art Director graduate from Columbia College of Chicago. She has been in the professional creative field for 5 years. "Putting my all into a project, and seeing that project come to life is what I love best about what I do. Listening to my clients speak about their vision, dreams, & goals, and being the one to help them make it all happen makes it worth all the while." Along with branding and advertising designs, she is an illustrator, animator, and photographer and co-director and founder of Black Dove Creatives (ad agency). Chenoa has an extensive portfolio in print, web design and photography as well as animated shorts. Chenoa Marie is also founder and CEO of her custom jewelry brand Asilia Designs where she offers a variety of adornments as well as a custom line of tees that celebrate the African diaspora & reflect natural beauty. In response to on-going racial injustice, police brutality and discrimination, in 2016 she co-founded and launched ​Black Life Network (BLN). BLN is the online centralized home-base to stay current on relevant news, network with like-minded entrepreneurs, utilize a national "Black-Owned Directory", find work, secure funding for projects, and access live Black-centered programs. Chenoa Marie also creates contemporary art in various mediums. Her work is authentically unique and pulls from life experiences, world observations and inner thoughts derived from both. She eagerly explores experimental art and is excited to share her work and skills here in Beaufort, SC and The Sea Islands.